I am seeing great things, ca. 1910. Museum of the City of New York. X2011.34.106. Souvenir Post Card Company. Greetings from 23rd St. New York, The Haunt of Pretty Girls, ca. 1907. Museum of the City of New York. X2011.34.109. Fascinating! I will forward to Pentagram, the design firm that has its offices in a building just north of the Flatiron Building. I am sure they will enjoy reading it. Very interesting article from Columbia U.Edward Steichen is a favorite of mine. 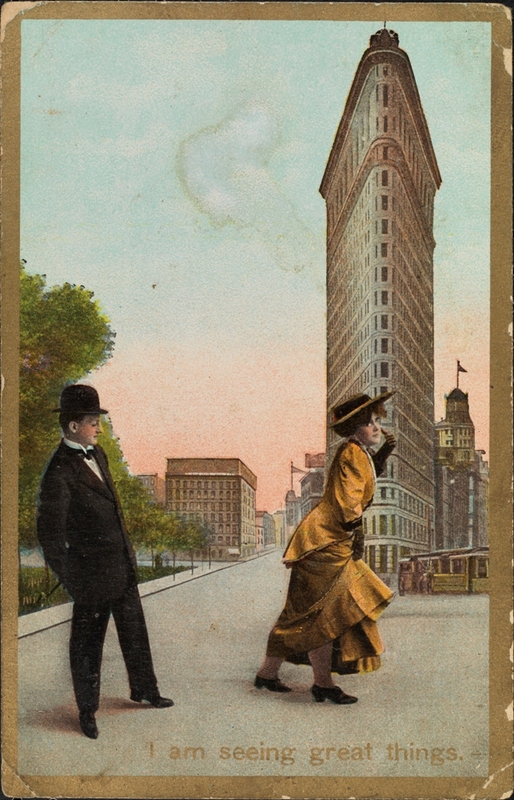 This certainly brings a different layer of meaning to the Flatiron than those evoked by Steichen’s photo. Thank you! I work at 26th and 5th. I imagine I would have seen my fair share of ankles if I was around then. Who would have guessed the origin of “23 Skidoo”?! Pingback: 60 things you maybe not know about New York City! | banafsheh's layers ! 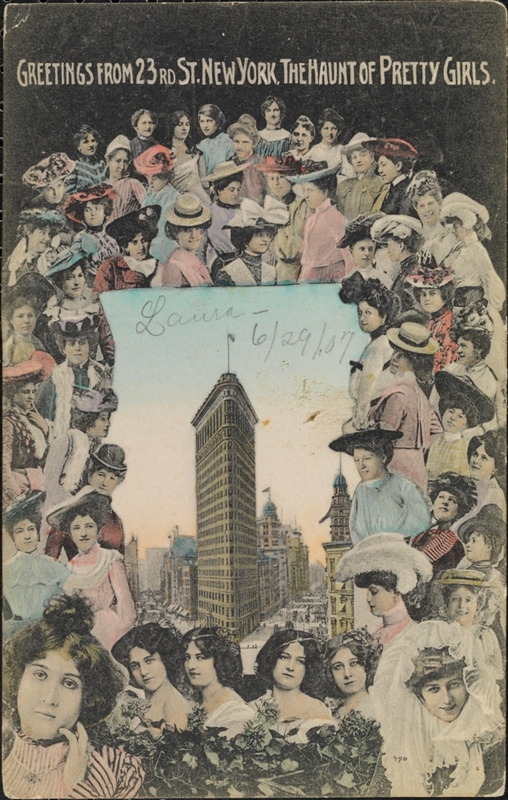 This entry was posted on September 6, 2011 by Anne DiFabio in Digital Project, Postcard Collection and tagged 1900s, 23rd Street, Architecture, Flatiron Building, Slang, women.